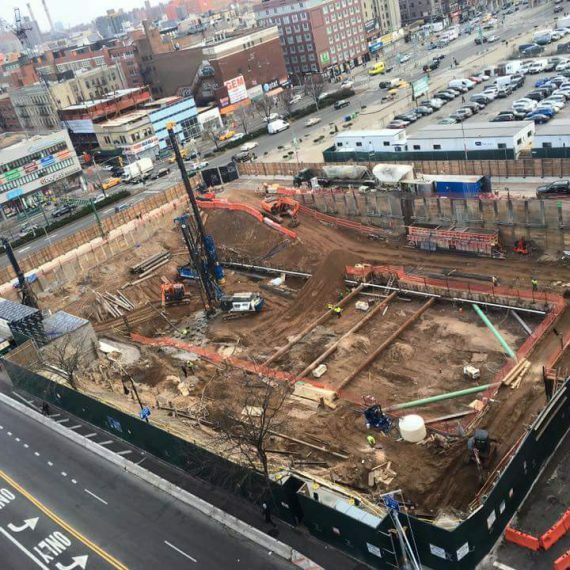 ECD NY is known in the construction industry for delivering the best production rates in every single project. Our strong background in the Geotechnical field makes us the #1 choice for top developers, owners and General Contractors. 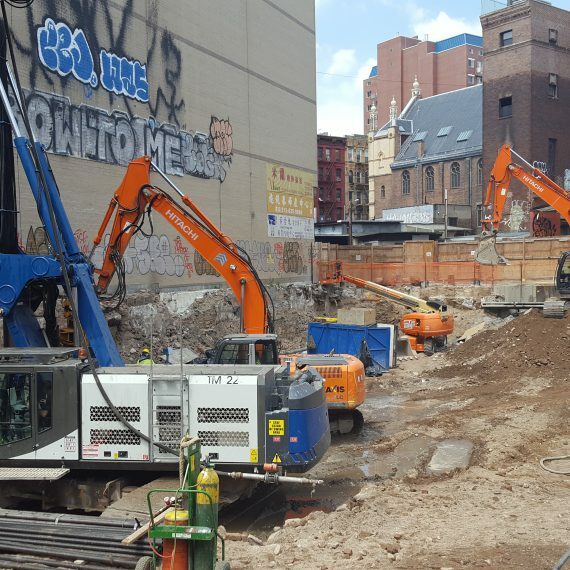 Our new state of the art ABI machines are capable of installing Sheet Piles, H-Piles, Drilling Secant walls, Soil Mix walls, Jet Grouting, Micro-piles, Steel Caisson and Timber Piles. ECD NY has always met our delivery schedule and we are very proud to showcase our work. Please feel free to contact us and learn the new way… the ECD way. 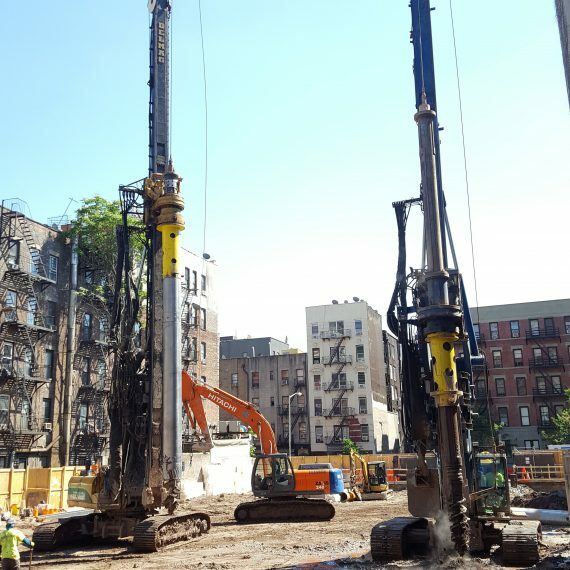 ECD NY offers a variety of deep foundation options to meet project design and construction requirements, including standard micropiles, hollow bar micropiles, underpinning, timber piles, H-piles, auger cast piles, drilled shafts (caissons) and mini-caissons. Our operational capabilities have led to both high-quality and cost-effective solutions. ECD NY has experience with the full range of earth retention techniques. One of our preferred methods for temporary support walls is the usage of the hollow bars as a tie back. We find this method highly productive and beneficial for working space. 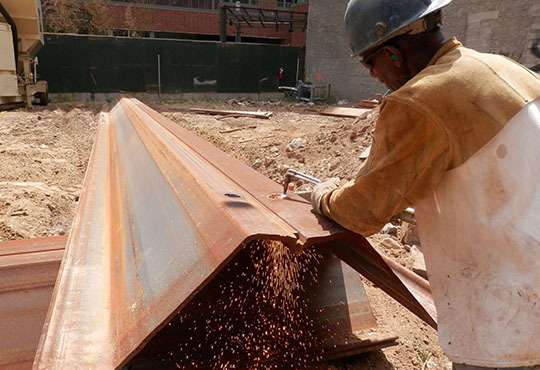 Along with using soldier piles with lagging, sheet piles, secant piles, tangent piles, soil mix piles, or structural diaphragm walls to resist lateral pressures from retained soil and adjacent structures, and to prevent soil raveling. 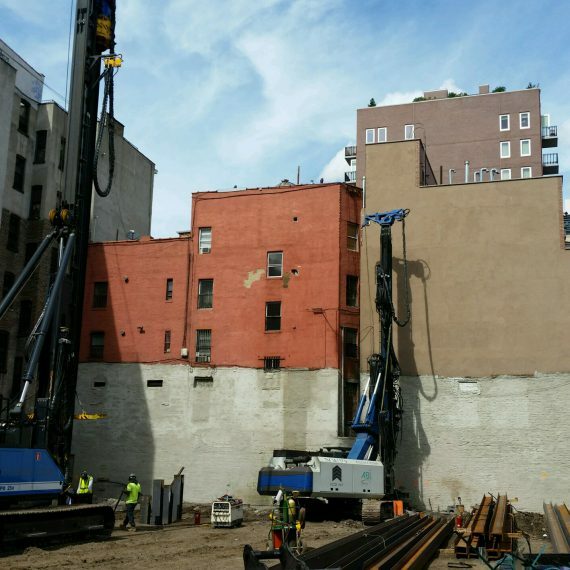 ECD NY has the equipment and experience to get your site out of the ground and underway. 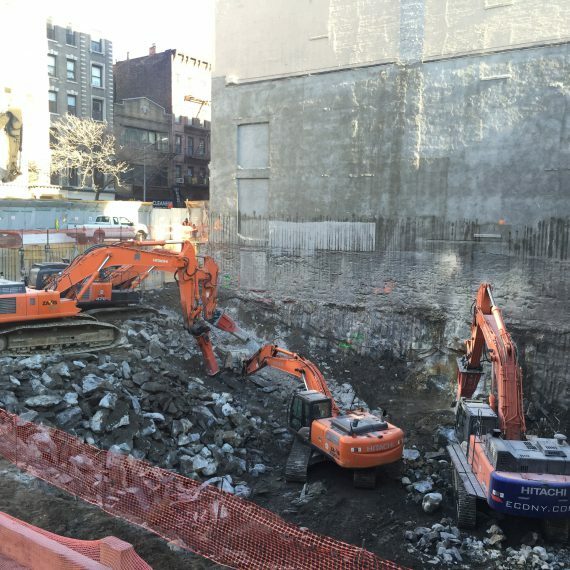 We can perform all phases of site preparation, Excavation, Contaminated soil remediation and Rock breaking. We have the experience, tooling and equipment to get the job done in a safe and effective manner.